7. You can view 2 parameter graphs simultaneously and merge them into one coordinate so you can easily see how they affect another, providing you with the most comprehensive and functional look at live data possible. 8. lt allows you to use the scan tool temporarily activate or control ABS/airbag system. With NT630 Elite, the check of electronic components such as switches sensors relays &actuators are made a simple task saving your time and labor costs. 10. With internet access you will always have the latest bug fixes, new vehicles, newly added parameters and functionality at your fingertips. And they are free for life long time after your registration. 12. It is constructed to resist impact and damage in the tough workshop environment. A rubberized sleeve protects your investment. This innovative NT630 Elite ABS and Airbag Reset Tool with SAS Function does not only have extensive coverage of vehicles but also provides accurate and professional diagnosis of ABS and airbag faults. This new NT630 scanner is just the perfect tool that professional mechanics can’t wait to have. ● ABS Manual Control Tests – allows to manually control the actuators in order to test ABS motors, solenoids, solenoid enable relays, EMBs, and more. ● ABS Motor Test – allows to manually control the ABS pump motor. ● ABS Version Test – displays the name of the brake system and the ABS controller version number, software ID, and sequence value. ● Actuator Tests – allows to manually control the actuators in order to test AYC valves, inlet valves, outlet valves, pump motors, and TRACSvalves. ● Autobleed Test, Automated Bleed, or Service Bleed – removes air from the internal brake fluid chambers after servicing the brakes. 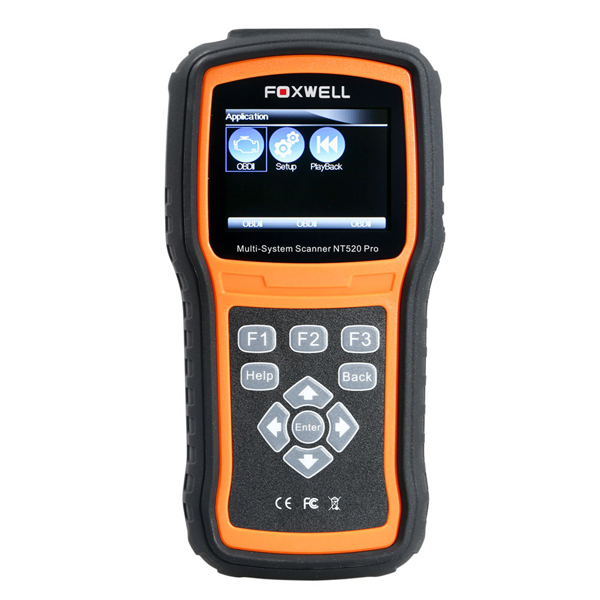 If you are new to FOXWELL, please register the scanner first. All of your scanners can be registered on One Foxwell ID.